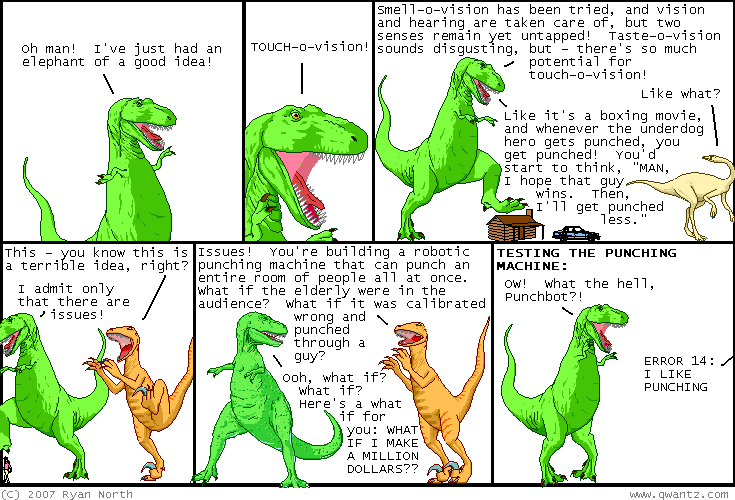 Dinosaur Comics - December 4th, 2007 - awesome fun times! December 4th, 2007: I put up the winter footer the other day. It's finally started snowing in Toronto! The snow is happy sign because it's when the heat gets turned on in my apartment.